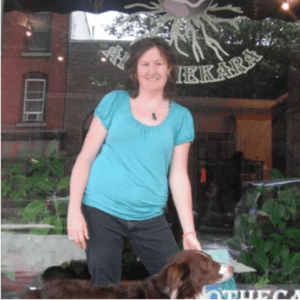 Kara Timmons – Physicians Assistant & Clinical Herbalist? Kara Timmons decided college wasn’t for her at 19 and left to see the country. In the national forest in New Mexico she found a flier for 7 Songs program (from Episode 1) that brought her into her herbal journey. That journey ended up spanning the whole breadth of North America. Once she hung her shingle as an herbalist she realized that she wanted to know more so she headed back to school to become a PA.
For Kara, herbal medicine and allopathic medicine are not at odds. She sees herbal medicine as the roots and the beginnings of “doctor” medicine. Wild Resilience is a project of Modern Medicine Botanicals, an online apothecary of herbal products and plant wisdom. Check us out on our website at modernmedicinebotanicals.com and follow us on Instagram @modern_medicine_botanicals. The team includes Friede Sander & Ryan Clover. Shows are produced by Ryan Clover and recorded in the studios at WRFI or in our mobile recording honda element Theresa.